When people ask what it is like to ‘own’ a wolf dog it can be tricky to answer. Firstly, although we bought and paid for Tuchena I don’t belive we ‘own’ her. We are definitely responsible for her, but that is different. If anything, she ‘owns’ us! She is the most loving, gentle and affectionate dog I know but that hasn’t come easily. It has taken a long time to build her trust and I am sure that we could easily lose it, should we allow her to come to harm in any way. She looks to us and our two Labs for guidance and is usually cautious of new people, dogs & situations initially. She will also tell us what she thinks of someone and we have to make sure we are listening with our eyes. By this, I mean we need to watch her body language, as once you learn to hear what she is telling you with her body it couldn’t be clearer. It is the same as her shouting her opinion at you…you just have to learn to speak her language first! This is most evident with people who are nervous of her and are trying to hide it. She knows, she can hear their heart beat and literally smell their fear. Scent to a dog is a massive indicator and it is not something a human can control. She needs to know why you are afraid? Should she be afraid? Is she in danger? Are you the danger? Usually in this situation Tuchena will continue to ‘test’ the person concerned, this mainly involves pestering them heavily. For someone confident with large dogs, this wouldn’t be a worry, but for the nervous (which in this case they are) they can end up more scared by the time she has finished with her interrogation. Thankfully in these situations she will look to our two Labs; Hendrix & Otis, for guidance. If they are calm and un-bothered by the person concerned she usually accepts that there is no danger, nothing to worry about, and will then settle. She is also very tuned in to movement. If she sees any sudden movement she can go from rest to fully alert in a nano-second. This means you need eyes in the back of your head when out in the fields with her and we have to ask visiting children not to run if they don’t want to be chased! She is affectionate when it suits her, when she is sleepy and wants a cuddle she is gentle and persuasive, she will gently paw at you to get you to rub her tummy and she will creep up on the sofa with out you noticing she has even done it. She has changed the way we communicate with dogs and has taught us how to understand them better. She will continue to teach us every day and I believe she will make us better dog owners. We have to give thought to every situation we put her in and weigh up if the experience will be beneficial for her or not. If not, we don’t do it regardless of how much we may want to. An example of this is camping. We haven’t been at all this year as we don’t think Tuchena is ready. Leaving her behind is not an option, so we have turned down lots of invitations for camping weekends. Maybe next year…..maybe not! We didn’t give this situation a second thought with the Labs, we just went along. Luckily they are pretty bomb-proof, but I am not sure I would take the risk with any future dog. From now on, every dog that ‘owns’ us will benefit from what Tuchena is teaching us, regardless of size or breed. This is such a great and insightful post. To be perfectly frank, I’ve always thought owning a wolf hybrid was a big mistake for most people–but it sounds like you have learned so much and are very responsible with Tuchena. She is just beautiful and I’ve been delighted to find your record of life with her here. I’m looking forward to reading and learning even more! Thanks, I am trying to give an honest account of what it is really like to live with a wolf dog. It is not easy and not everyone understands or even believes what it can be like. We would never manage with out the continued support and advice from our friends at the wolf centre, they are amazing! What Wolf Centre are you a part of and what kind of info/support do they give? I gather it’s not in the US; I would love if there was one near here. We work as volunteers at http://www.thewolfcentre.co.uk based in north Devon in South West UK. We have both been On the courses they run aimed at understanding your dog before we even considered a wolf dog. It truly is all about communication. I think the the one thing Wolf Dog owners miss on that leads their training astray is not researching how wolves communicate via body language. With me and my Luna, it’s almost like a “Wolf Whisperer” kind of communication that I love, alike what you’ve stated, such an amazing relationship can come from it! That is true, with a wolf dog you have to take the time to listen to them and learn to speak their language. The rewards are massive if you are patient. That post gave me the warm and fuzzies. Beautiful. Going through your blog has been wonderful and very insightful. Tuchena seems like such a lovely girl! Although I don’t have a Czech wolfdog I can relate to some of the experiences you’ve described with my own canine. Like learning subtle body language and gaining trust. It’s an amazing experience. Hi Rebecca, thanks for reading my blog. 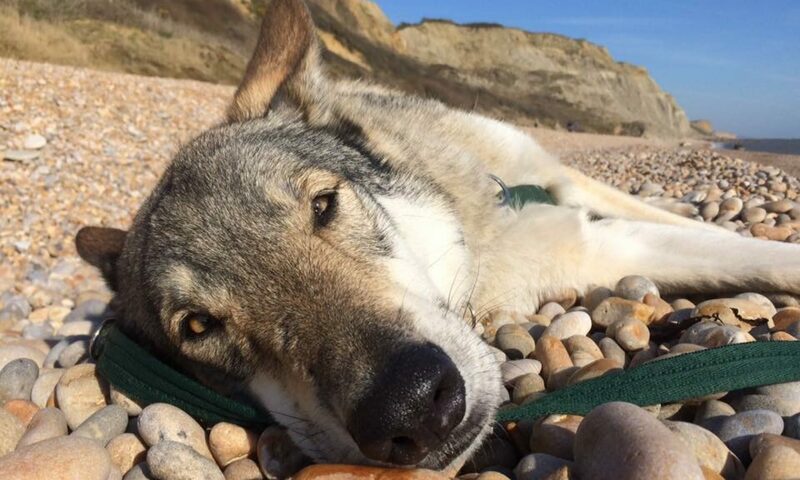 It is always lovely to hear from other Wolfdog owners! It sounds to me like Linka has found herself a happy home and patient and understanding owner, which is just what all dogs need, but especially wolfdogs! If you would like to contribute to the ‘living with wolfdogs’ series I have been posting, please get in touch, my details can be found on the contact section of the blog. I was researching the breed to find out some answers to my many questions. I have Finn from finland. His name is rammus taabernakkelin when I search him but I named him Finn. Well I have come home to a wrecked house again. I’m completely used to just cleaning up the disaster area as this happens everyday. I’m hoping that this will change with age? I’m also concerned that with certain food he will growl at me if I come close. He turns into a completely different dog! Is that just the breed? There are so many other things but I guess I’ll start with this. Thanks for getting in touch! I would suggest getting in touch with Dr Isla Fishburn of Kachina Canine Communication as she is the expert in this field. i came across your blog while searching for “living with wolf dog”. i am getting my Czchoslovakian Wolfdog in a week and am reading a lot of books on it and how to train it, live with it and just “owning” one or as you are saying, being responsible for one. i also came across of a lot articles where it say, living with a wofldog is so much different than having any other kind of dog. and some are saying it is not a home pet while other say, they have their wolf dog inside their home and sleeping next to their bed. so based on your experience, where should a wofldog be living. i am preparing a garden just outside my room window for the new puppy, it is a 50square meter area, 17m x 3m approx. and it will be secured so not to escape from it as they are good digger. and he will not be on a leash inside that area, it wouldn’t make sense anyway, so he will have plenty of roaming. it seems you have had this wolf dog for a while. what do you recommend for a 1st time “owner”. i will get him at age of 2months. i have bought the books of Nicole Wilde on “Living with Wolfdog” and “Wolfdog from A to Z”. so i am deeply wanting to learn about how to deal with this beautiful type of animal. Wow, very exciting getting your first Wolfdog in a couple of weeks, be prepared to have your heart stolen. I adore the wolfdogs but they are extremely hard work, but if you have got this far then I guess you have already asked yourself all of the questions with regards to time and effort involved. I would agree that they are like no other domestic dog. Everything is increased in intensity. I find that they retain the suspiciousness of the wolf and view every new situation/person/experience as a possible danger or threat, but that is not to say that they can’t cope with it, it just takes a little longer, you need to show them good leadership, that you only choose good situations/dogs/people for them to meet and they will learn to trust your judgement. If you get it wrong, be prepared to go back a few steps in your training and start again. It is frustrating at times, but so rewarding when they look to you for guidance when they are unsure as they trust you. I would not recommend them as pets in general, but for the right people with the time to commit to them they can make the best companions. They are extremely loyal, loving and affectionate to those they trust. Both of mine live in the house with access to a large garden when we are home and get walked twice a. Day. Mental stimulation is key to ensuring they are properly exhausted. Training, games, working on large bones etc all play a big part in ensuring they are content and settled in the eve. Mine sleep in the bedroom through choice, they have access to the whole ground floor, but like to be near us. At 2 months old I would recommend you introduce your pup to as many experiences as possible, people, children, cats, sheep, traffic, busy areas, coffee shops etc in small bite size easy to cope with sessions to ensure that they experience as much as possible. Don’t let people pick it up or pet it on the top of the head, ask them to touch under the side of the jaw as it will feel less threatened by that. Choose dogs for it to meet and spend time with that you know are well balanced. Usually older dogs that ignore puppies are a good bet for this. It will be teaching your pup all sorts with out you eve noticing. Nicole Wilde books are good. I would also recommend learning about body language as wolfdogs use this a lot a and if you can understand what your pup is saying you are a step ahead. Turid Rugaas has some good books on this as well as you tube videos. There is a good illustrated book by Brenda Aloff too. Also, Patricia McConnell books and DVDs, you could start with ‘the other end of the leash’. I hope this is helpful. Good luck with your new pup, I would love to see a photo and hear about your progress! 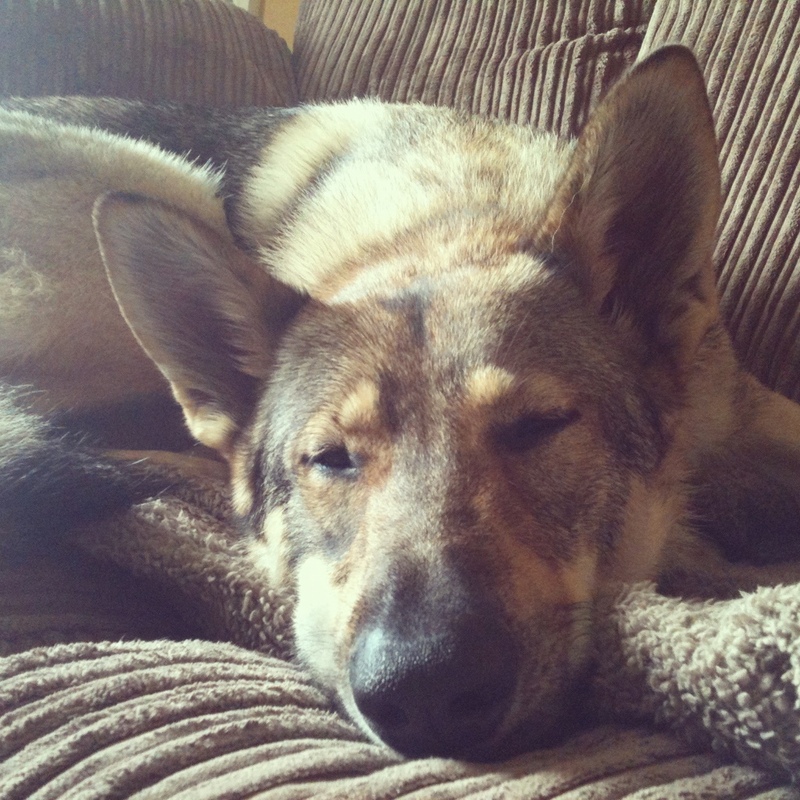 Hi, I have a Northern Inuit x CsV – female 4 yrs now. I got her at 7 1/2 weeks. She is unlike any other dog I’ve met or lived with – very independent thinker, very one-person dog, funny but sharp at the same time, really clear signaling. What I would say though is be very careful about reading all the dominance stuff – even by well-known positive trainers there’s still stuff out there about you having to be the alpha before your ‘wolfdog’ takes over and so on. I have no idea what it would be like to live with a true wolf hybrid, nor would I want to, but the same applies. Linka has had exactly the same socialisation, habituation and training as would any other dog. That is, plenty of it, and for the former, as early on as poss. She was out straight after 1st vacc at 7 1/2 weeks. She comes on buses and trains with me, is very comfortable in cities and towns as well as country – our only problem really is after an accident she became on-lead reactive to other dogs and when pain’s been a feature this can be really difficult to overcome. She sleeps with me or in my son’s room, but if I asked her to come off the bed she would immediately – has access to whole house. She thrives on plenty of exercise but if I’m not feeling great, will be a couch potato alongside me. I don’t tend to leave her since her accident, as I had to be with her 24 hours a day for 6 months, very intense, and if I go out and she’s left with the family, I’ll come home to find she’ll have taken a boot, pair of jeans, hat, whatever – that belongs to me – to her den. We then go through about a five minute intense bonding session which is lovely. She’s extremely sensitive to moods and knows what I’m going to do before I do. Ditto everything the above excellent reply. One last thing, you may find other people aren’t so keen on your dog as you are. One person said to me ‘get that husky away from me, huskies are wolves! !’ I have become used to people immediately putting their dogs on leads and parents eyeing us warily – although strangely she does gravitate towards kids, even screaming ones!! Wonderful dogs. Real life-changers in a major way. I LOVE your dog! I met a Czech Wolf Dog today for the first time and just had to google! I had never heard of one before. I was so curious about this beautiful dog and also because he was such a timid boy. He was hanging out with his family and German Shepherd pal when my husband and I and our two Border Collies arrived to play frisbee on the green in the woods. I was quite surprised that he was so nervous around my dogs, especially my absolute clown of a male (even sheep think my boy is a joke! His default position is bum in air). He ended up playing some frisbee with us (the lure of a frisbee is always too much to resist! ), agreed to check out my camera in detail so I could take some pictures and decided my face and glasses needed a good cleaning with his tongue. I was quite captivated! He was such a sweet dog and the first wolf dog I’ve photographed. I hope we meet them again and I will be following your blog now I know about these lovely creatures. Congratulations on your patience! While I don’t think I will be ever be getting a wolf dog myself I am very happy for my nut jobs to have a made a lovely friend once he got comfortable! (Not entirely sure my grumpy old lady is so fond of his German Shepherd friend though. She takes a dim view of young males who fancy her and interrupt her game!) From the time we spent playing I can see the cautious nature of these dog but also the absolute affection and fun once they are more comfortable. I can imagine owning one must be a real joy when you put in the hard work and earn their trust. Thanks for following the blog! They really are wonderful animals when you get to know them. I am glad you spent some time with one and saw how affectionate they can be once they have checked you out and know they are safe! Amazing description! I totally agree as my baby boy does almost all the same as described by you. They do have a unique way to communicate with us. And is true that this is a dog to make you feel unique as he will never connect with other people the way he does with his best friend..or owner (how pleople like to consider themselves). For me and Bebe (Baby* in Romanian language), it was clear from the first time we meet that he accepted me. I adopted him when he was already 9 months old. I fell in love with these gorgeous animals a couple of months ago. I work with a breed specific rescue and was at a fundraising event. I approached a couple who were walking wolf dogs to ask if I could meet them. I was told that one was fine but the other was very nervous and didn’t approach people. While I was stroking the confident dog I felt my leg being nuzzled by the more nervous dog. As I talked to him he behaved as if we were old friends, nuzzling and making eye contact. The owner was so surprised at his reaction but we couldn’t figure out why. When I got home I sat trying to figure out what caused his reaction to me………Suddenly I realised…….I have terminal cancer – it seems that Woody felt the need to befriend me because of my illness. I absolutely adore these dogs and only wish I was able spend the time needed to learn about them so that I could adopt one. Thanks for getting in touch Christine, what a remarkable encounter. I think I may know of Woody (was the other dog called Laska?). They certainly have great intuition! I’m not sure of the name of the other dog, because there were several wolfdogs at the event. “Paws in the park” in Birmingham. I just hope they will be there next year and that I will be able to make it to see them. I loved reading your post, I have a Apollo a little Czech wolfy and Ludo, a large Northern Inuit! When i was reading your descriptions they are so accurate! Thanks for taking the time to comment 🙂 They really are a handful when they want to be, but can be the sweetest things too! I suppose we have to suffer the one to appreciate the other!